♡ Tammy Taylor ♥Tammy Ranked in Top Nail Artists!♥NEW Design Video♥NEW Contest! 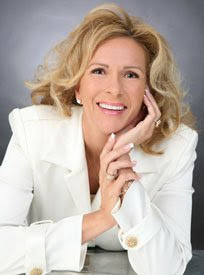 ♥ Tammy Taylor Ranked One Of The Top 20 Nail Artists In America! "If you can think it, dream it, feel it, wait for it, and work toward it, you can certainly get it. Congratulations to everyone who made this list! And thank you to BE! Magazine." "You can create beautiful Nail Designs using many different techniques with the New Power of Love Gel polish and matching Soulmate Nail Lacquer Collection. Gisela Marti, my Creative Director, is such an amazing artist and she loves teaching so much you can feel her love for nails just by watching her create. Gisela's new video the "Dazzling Daisies" Nail Design is like a nail art class in one design, she shows you so many different techniques that you will be able to use to create hundreds of designs. ♥ NEW "POWER OF LOVE" CONTEST!